Whitburn is a lovely village to be a dog walker. With walking routes leading into Sunderland, South Shields or up towards Cleadon – there’s always different directions to head off in. 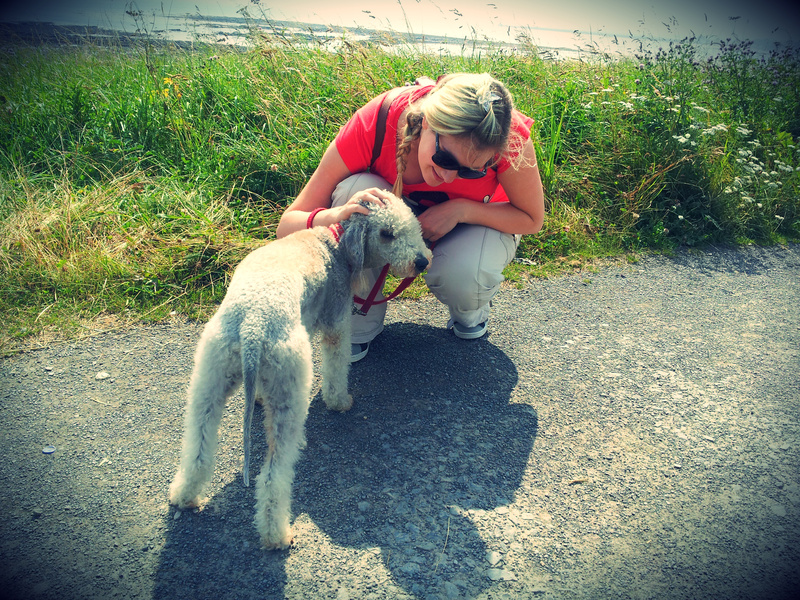 Today I made my way towards Seaburn following the coastal path with my new furry friend, Bolly the Bedlington – so-called because as a puppy, his head was full of bubbles (like Bollinger champagne). 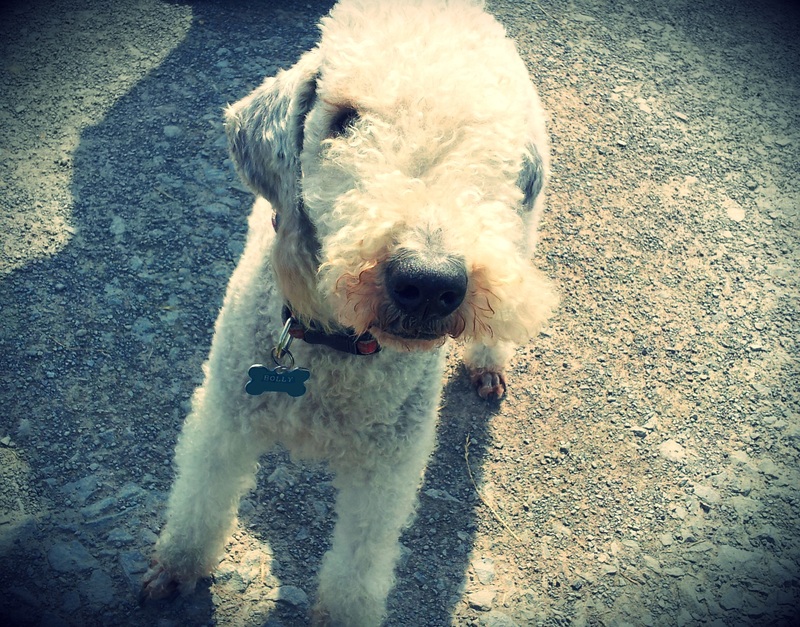 Yes that’s right – he’s a Bedlington Terrier of taste! This afternoon I found a bit of British summertime! It was warm and sunny with just a few friendly white clouds – and even Mr Whiskers joined us for the occasion… mostly so he could pick up an ice-cream from Minchella’s in Seaburn! Mind, he’s useful for a photo or two 🙂 Whitburn’s a really dog friendly place to visit with plenty of fresh bowls of water for hot dogs on offer. Bet he’d have rather had the ice cream tho! On the way back, Bolly nudged us towards Cornthwaite Park – like most dogs who know their area well – he obviously knew where he wanted to go! 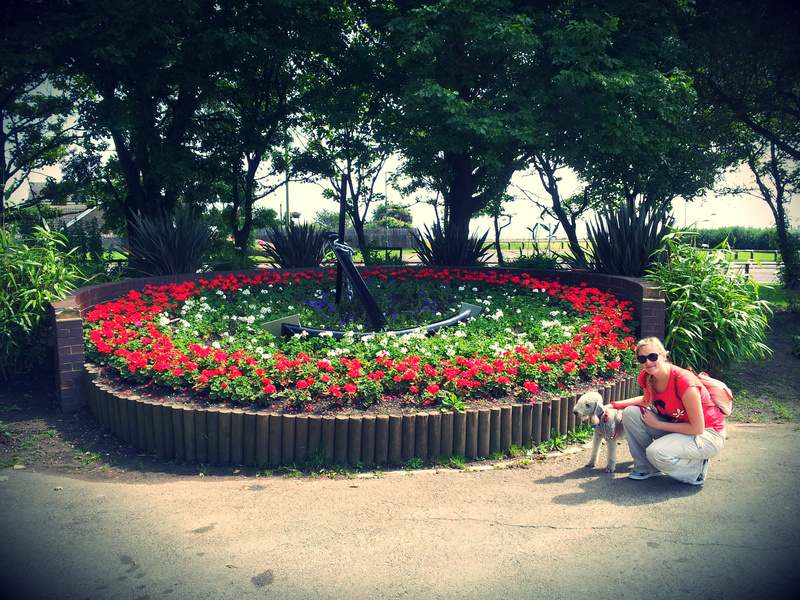 South Shields council have been busy bees and it was lovely to see a new anchor flower bed display (although I’m not sure Bolly was very interested). Living by the sea means I have a thing for anything nautical! Bolly went back home for a nap and with the afternoon came the thunder and rain! Typical! Not allowed just one day without waterproofs anymore. Never mind ey? 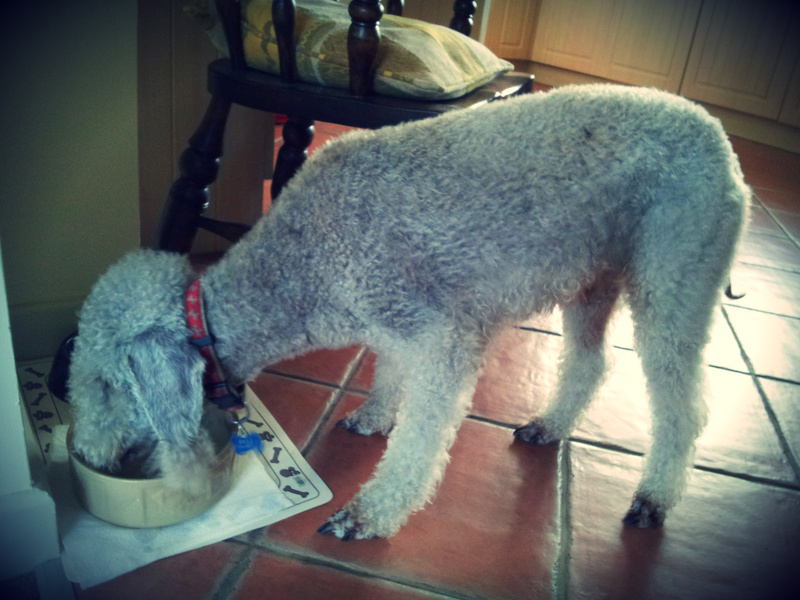 Indeed, Bedlington’s are considered to be first-rate water dogs and Bolly was no exception. This evening, he tried his very best to jump in every puddle I tried to avoid – and then wanted to drink from them all too. Instead he settled for some lovely tap water when we got back home. All in all, another lovely day to be a dog walker in good old Whitburn village.